An average of 37,700 rides a day were clocked over the festival. Inside conferences halls and converted bars at SXSW, the talk was all brand narrative, diversity and XR in advertising. But out in the streets of Austin, Texas, an entirely different topic gripped conversation: scooters. Frustrated locals were quick to bemoan them, with many claiming companies had dumped hundreds more on sidewalks for the festival under the local government’s radar. Every other ride-share driver painted a picture of bloody carnage with stories of drunk SXSWers slamming the two-wheeled electric rockets into their vehicle or crashing into pedestrians. So how many people were actually injured? Well, not as many as you’d think. Austin-Travis County EMS told Campaign US preliminary numbers show that, from March 8 through to 17 and between the service’s operating hours of 3pm to 3am, paramedics dealt with 12 reports of scooter-related injuries. Moving from one generation to another. How does it work? How would you use it? Shared experience has the power to connect people from all walks of life. That’s broken down as two on Tuesday March 12, one on Wednesday March 13, five on Thursday March 14, two on Friday March 15 and two on Saturday March 16. Details of injuries were not shared and will be outlined in a thorough report with finalized numbers in the next two weeks. 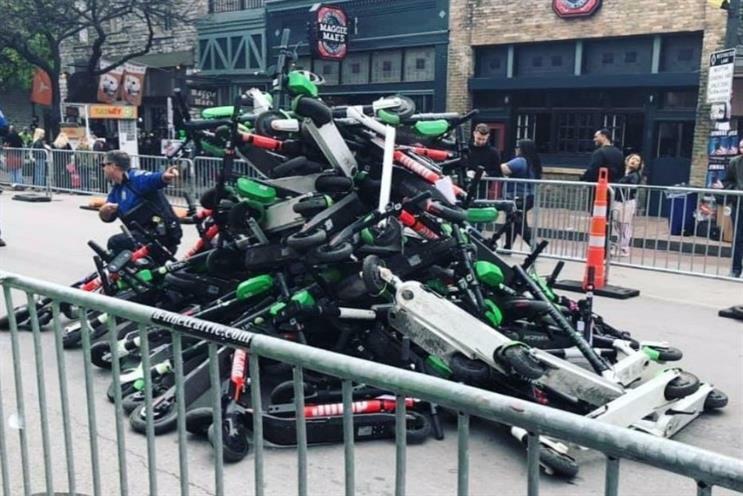 Austin Police Department said it "didn’t track police involvements with scooters during SXSW." Officers were behind the Leaning Tower of Confiscated Scooters pictured above after closing numerous roads. Daily rental scooter usage more than tripled over SXSW compared to February, according to figures from Austin’s Transportation Department obtained by the Statesman. The city clocked more than 37,700 rides a day between March 8 and 17. The peak was around 45,000 on March 9. The February daily average was 12,800.